For any of you who have followed Runblogger for a while, you know that I haven’t been crazy about very many max-cushioned shoes. This is not to say that I am closed off to the idea. 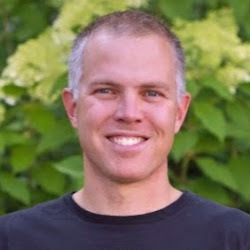 Despite starting from a more minimalist framework in my running years ago, I continue to try to be open minded and see how the principles of natural running and good shoe design can be carried over into different tools that runners can use for a wide range running. I was pretty skeptical that a shoe with a high stack height could retain these principles, and had not run in a highly cushioned shoe that I could tolerate for even an easy recovery run. Until the GOtrail Ultra 3 arrived, that is. Actually, to be fair, the first shoe was likely the GOrun Ultra Road, which is a little lower in stack height but still within the maximal category. Both of these shoes offer a much more flexible ride than is typical in a max cushion shoe, and the fit is by far the best in the category. I’ll get into more details below about how this works so well for the new GOtrail Ultra 3, and why you need this shoe on your feet. Notice the GOtrail signification. First time Skechers has started using that, and a sign of things to come :). Also the tongue is actually well padded, a nice feature for longer outings. The uppers on the newer Skechers shoes have improved so much from their earlier shoes, that they really aren’t even comparable. If you haven’t tried Skechers in a while, you need to try one of their 2016 models to see what I’m talking about. They’ve gone from producing pretty average uppers with stitched overlays and lower-quality feeling materials (except for the Speed series), to producing uppers that are, in my view, equivalent to, if not the best uppers on the market. 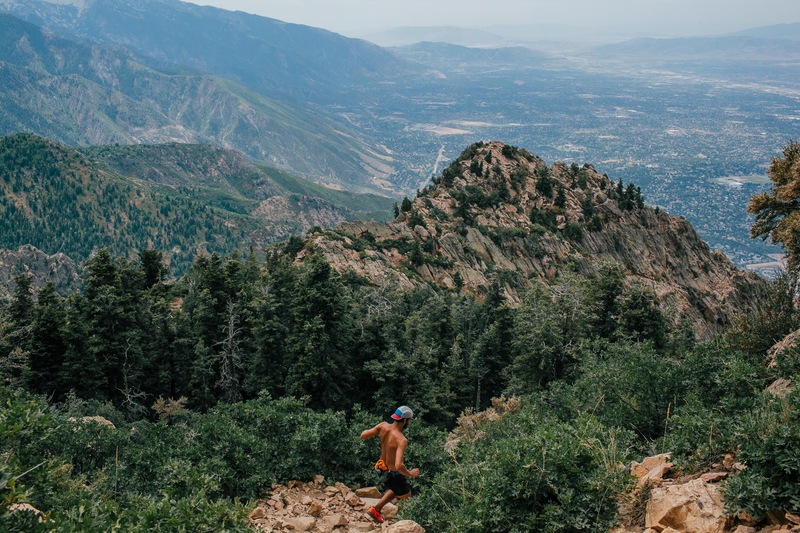 The last shape on the Ultra 3 is perfect for a long distance trail shoe, with ample room in the forefoot, but a secure midfoot and heel that allows the shoe to feel secure on steep descents without any constriction of the toes. Great fit for all day comfort, but secure enough to perform at speed. Additionally, the tongue is adequately padded, something sometimes oddly missing from trail shoes. A padded tongue is very welcome when you have the shoe on your foot for 5-30 hours in ultra marathon events (especially in shoes with a lot of cushion). The shoe breathes well and drains extremely well, thanks to a mesh strobel, drainage holes in the foot bed, and holes in the side of the midsole (more on that later). If you like Hokas, but have struggled with the narrow toeboxes and the funky midfoot fit, the Ultra 3 is really a dream come true in terms of fit for long races. Great upper design and overall package is high quality. At first I wasn’t sure if the upper was what made the Ultra 3 stand apart, or the midsole. I think, in great shoes, all the components work together in a way such that you can’t necessarily separate one component from the other, and the Ultra 3 is a great example of this. However, in the max cushion realm, the midsole and ride of the Ultra 3, more so even than the upper, really sets this shoe apart. As I’ve said before, Hokas fit super narrow and uncomfortable with, in my view, a pretty poor last shape for most feet. Up until now, runners did have the option to turn to one of Altra’s max cushioned models with the Paradigm or Olympus. I’ve run in both the Paradigm 1.5 and Olympus 2.0, and I can say the fit is more comfortable than Hokas by a long shot (although still not as good as the Ultra 3). However, the midsoles of the Altras just don’t ride naturally at all with their drastic toe spring/rocker, stiff feel, and wide overall platform (Olympus 2.0 is better with regard to footprint width). Tons of cushion. Notice drainage holes in the side. The Ultra 3 has, hands down, the best ride of any max cushioned shoe on the market. The geometry and footprint of the midsole is just right (not too wide a footprint, and lively feel from midfoot to toe off) to give it proper stability and a smooth, propulsive ride. The 5GEN compound is super soft, but also very resilient (meaning it bounces back and holds shape/resists compression). This makes the shoe feel much lighter than it is, and also much more nimble. Significant flex grooves in the midsole and outsole (interplay between components again) allow for unprecedented flex in a shoe of this stack height. Additionally, the shape narrows in the arch, which decouples the forefoot and heel (natural principles again). This is the opposite approach of Hoka and Altra, which rely on stiff midsoles that are thick/wide through the arch to allow for rockered geometries to get through the gait cycle. In my experience, the rockered soles feel ok at low speeds but really feel unnatural at higher speeds, especially on steep downhills and on technical ground. Not a very wide or flared heel, which is how I like it. Wide enough to be stable for the high stack, but doesn’t get in the way. The Ultra 3 runs nearly the same as a normal shoe except for the noticeably enhanced cushioning. Gait-wise, I didn’t have to change a thing. This was a massive surprise on the first run in this shoe! The shoe also features a very innovative and effective drainage system that really is a big deal in long races when there are multiple stream crossings and/or it is hot (requiring the runner to get wet constantly to stay cool). The only surface on which I felt the midsole was suboptimal was on super technical terrain when the shoe really flexes torsionally. I’m not sure yet if design could eliminate this issue (I have a few ideas), or if the stack height just won’t allow it. Either way, I can confidently say it is the best maximal ride on the market. Mesh strobel for quick drainage. Nice footbed with heel drainage holes…this shoe will drain quickly. While not as immediately noticeable, the outsole might also be quite revolutionary as well, mainly in how it allows for significant coverage while staying light weight and allowing for a high level of flexibility. At first look, I was convinced I’d be ripping off sections of the outsole quite quickly, and am usually a fan of full coverage outsoles for that reason, and for the consistency of ride that a full outsole provides. The Ultra 3 outsole provides the consistency of ride since it is dispersed evenly due to the web/lattice design. I’m also happy to say it has held up to significant abuse with no sign of de-lamination so far, and I’ve had it on some rough terrain. In this case, I’d say the added flexibility and weight savings are worth the tradeoff since it seems to be holding up great. Great overall and unique web/lattice design. The traction is fantastic on anything but ice, snow and mud. This is an issue of softness and high stack since you can’t get the penetration into these surfaces since the ground force pressure is dispersed…one of the trade offs when you add cushion. Overall the lug height is about right, and durability seems on track to last at least 300-400 miles, if not longer, depending on the terrain you run on. 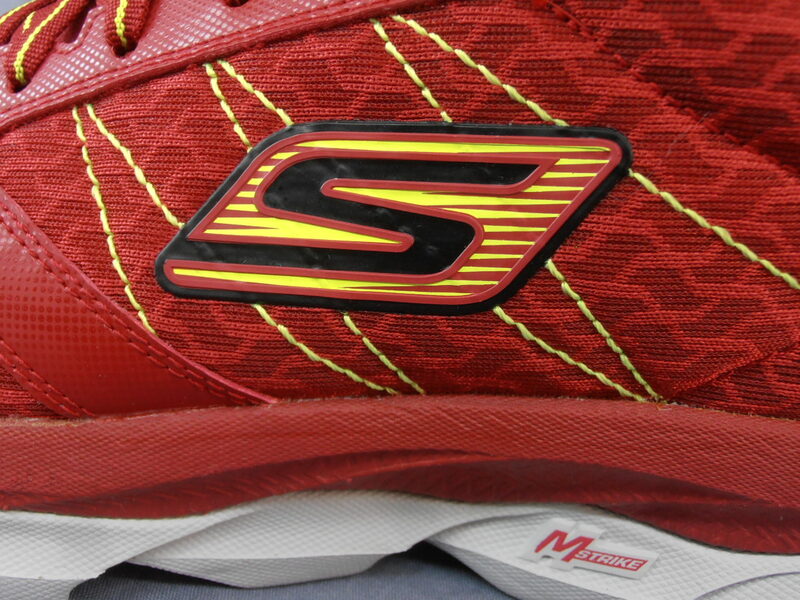 Skechers recessed the outsole into the EVA midsole, which is brought up flush with the rubber to prevent delamination. It’s these little things that come together to really show the refined design of the Ultra 3. If you’ve made it this far in the review, then you already know that I like this shoe. A lot. The GOtrail Ultra 3 and Ultra Road have opened my mind to the possibility of max cushion shoes providing a ride that still feels natural and is more of an enhancement, in the form of added cushioning, that still works with a runners natural stride. This is a huge difference in feel, and the shoe is category-leading in my mind. If you like Hokas or max cushioned Altras, go out there and try the Skechers GoTrail Ultra 3 (or Ultra Road if you don’t run trails). The midsole material is substantially better, and the fit and ride is next-level for the category. If you’ve shied away from max cushion up to this point, I’d also encourage you to give them a try, particularly if you run ultras or higher volume training. They are surprisingly natural feeling for the stack height, and as someone who believes the foot should control the shoe, not the other way around, these are the first maximal shoes that I feel achieve that. Fantastic job from the Skechers Peformance Division! I can’t wait till I start seeing the Ultra 3s more and more at trail ultras this year. I know they’ll be on my feet a fair bit, particularly in my 100 milers later this summer. The Skechers GoTrail Ultra 3 is available for purchase at Skechers.com (many colors), Amazon.com (some currently discounted), and Running Warehouse (single color). Thanks for the great review. I got a pair last week and have been very pleased with them. Still need more trail testing on long runs, but happy so far. Flexibility with great cushioning is awesome (and wide forefoot). I’m disappointed with the weight (my US 13s weigh 14.0 oz) and they do ride a bit high so I’m not sure they’ll be stable on truly technical trails. But for your basic 50-100 mile ultras, these are my new go-to shoe! I think this is NOT a shoe for technical trails. I had previous Ultra v1 and ran some ultras and mountain marathons with them and everything was perfect, so I’m going to buy this new v3 for long, non-technical trails. For long but technicals trails I prefer Sportiva Wildcat, for instance. BTW, The sole of this new v3 will last if I use it for “door-to-trail” training, running in concrete some kms before I reach to the trails? Thanks for chiming in Chris. I hear you on the weight, but not sure where they could cut back…in fact I’d actually like to see just a hair more structure to the upper and midfoot personally, which would add a little weight, but I think necessary the more shoe you have to keep the foot able to control the shoe and not being too unstable. I absolutely agree that these are not useful on technical terrain. I wore them for about 20 miles at Hardrock and had to switch to Salomon. I tried again this weekend and wore them for the first 37 miles of the Silverheels 100. I ended up switching back to my Salomon’s again. The Skechers are much more “comfortable” but they just aren’t stable enough for technical terrain. I was getting too many hotspots and a few blisters. That being said, they are SUPER comfortable on flat stuff. 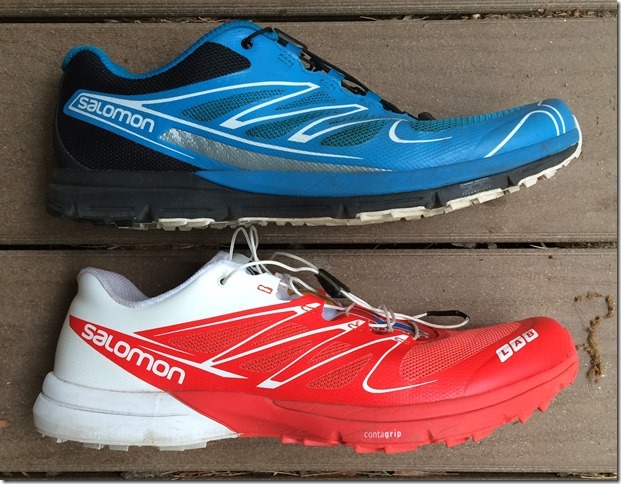 How does the ride “feel” in comparison to, say, the Hoka Clifton or the Altra Paradigm? great review, david! might have to consider this or the ultra road; good to hear that the road can do trail duty. do the two ride and fit very similarly? do you think they’ll be snug enough for someone with narrow feet who is not doing ultras? do they feel less rockered than hoka, etc.? is the 4mm drop accurate with the insole? original ultra seemed like quite a bit higher drop than specified (and was very unstable on trails). ps: i don’t know if you’re getting notifications these days (i’m not), but i left you a belated reply on the xt5 review page. forgot to ask: do they run true to size? i went down a half size on the original ultras. I feel like they do run true to size…you might be able to go a half size down, but I’ve kept to my regular size. Semi-related question. When you say true to size, I’m assuming you mean typical running shoe size rather than Brannock size? And if you don’t mind me asking, what do you measure on the Brannock device? I assume it’s not a 13. I wish Sketchers would release a high cushioned road version of this shoe. They have some road shoes but none at this level of cushion. I have grown tired of Altra not listening to feedback and improving their Paradigm line. I am done with Altra. I might just get these for road work. I do love my Topo UltraFlys though. For me, not Brannock size, but my typical shoe size. I mostly buy either 10 or 10.5 depending on the shoe. 10 has always been my “normal” size, so I call that true to size for me, and the Ultra is in this category. In some brands, and with a lot or racing shoes, I go up t 10.5. I have never needed to size up in a Skechers shoe. 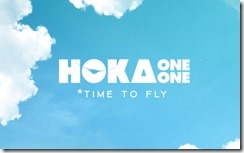 Ever since Decker ruined Hoka, I’ve been looking for a replacement to my Mafates and Tarmacs. Recently I started training and racing in the GoRun Road and GoTrail Ultras, and this review is spot on! I won my 50K last weekend in them. No chafes or blisters. It was in the 90’s so sweat and water filled the shoes and drainage was awesome. Comfortable from start to finish. Good by Hoka, Hello Sketchers Ultras! fyi, david: jackrabbit has kiger 2 in 13 for $50. hope you managed to grab a pair. they seem to be gone now. trying to find my 10.5 but no luck so far. have you had a chance to try your sense pro 2’s yet? Thanks for the reviews. I’ve worn Skechers for a while but just to go to work and it worked quite good. Maybe I’ll try these for my running let’s see how their upper and midsole improved. 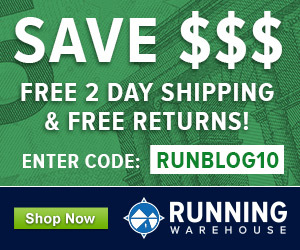 David, do you know anything about the non-ultra GOtrails that recently showed up for preorder at Running Warehouse? I ordered the ultras earlier this year, and although I didn’t keep them (too high and squishy), I liked the fit a lot. Do you think this new shoe will be secure enough for truly steep and technical terrain (along the lines of Grandeur Peak in SLC? Awesome reviews David, I just came across your blog and your reviews have been very helpful. I need some new runners I usually use Brooks and have found them not too bad. I think I will give the GOtrail Ultra 3 ago this time. I don’t do as much running as you do but I am going to start increasing it. I want to start getting a lot fitter now. I will share your blog on my facebook page. I have a lot of mates your reviews will help. Cheers Michael. Took me a while to get used to them. More heal drop than I’ve ever run on befor–quite jarring at first. Took some months to adjust my stride–now I really like them, not so much for the first 25km race and certainly not on the downhills. They breathe well, lace nicely (and stay laced). Now, after 250 miles, they’re still fitting snugily, tread wear is on par and still springy. Just did my 9mi route, some on crunchy snow where they did just fine. Have you reviewed the Skechers GoTrail Ultra 4? Have these been discontinued? I am looking to replace my Hoka’s and people seem to love the GORun Ultra but I can’t find them anywhere and they aren’t shown on the Sketchers website. Yes, the Ultra 3 is not available anymore. The Ultra 4 has replaced it and I’ll have a review of it up soon. Thank You, I was just about to order my Bondi 5 after weeks if research and decision making I am so glad I read your review, I have a bad back & knees and I also think these are going to be a bit cheaper in price for Me. Thanks again and please let us know what You think of the Ultra 4? ?